"On April 25th, 2015, an earthquake of 7.8 magnitude shook Nepal. Almost 9,000 people died, more than 22,000 people suffered injuries and more than half a million houses were destroyed. For months aftershocks rocked the country. People occupied the streets and open spaces in fear. Chaos dominated daily life. At first the world was interested and the media published a river of pictures showing the destruction, but within weeks other stories took the headlines. Nepal vanished little by little from the news while the Nepali people continued their struggle, fighting as they did from day one, to help each other and rebuild out of the devastation. “Endurance” tells their story. “Endurance” is a book about the lesson of life that the people of Nepal have given after being hit by one of the worst natural disasters ever recorded and the worst to hit Nepal since 1934. I intend to donate books to schools, libraries and community groups in Nepal. Endurance is produced by FotoEvidence. *All proceeds from book and limited edition sales will be donated to projects benefiting the reconstruction of the country, because this book belongs to Nepali people. *"
Omar Havana was born in Spain in 1975. He is an award-winning photojournalist living in Asia since 2008. 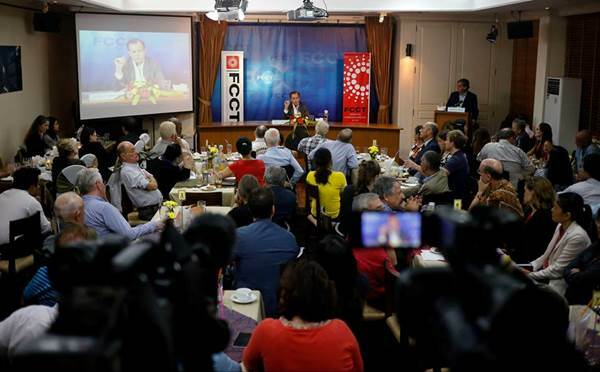 He moved to Nepal in October 2014 where he had been covering a wide spectrum of stories, mostly focused on the human dramas, achievements and fight to improve the situation of the country. Omar was living in Katmandu on April 25th 2015 when a 7.8 magnitude earthquake turned many parts of the country to rubble. His work from the immediate aftermath of the earthquake was published more than 1000 times around the world. He followed the story long after media interest waned, taking trips around the country to document both the destruction and the recovery as a testimony to the endurance of the Nepali people. 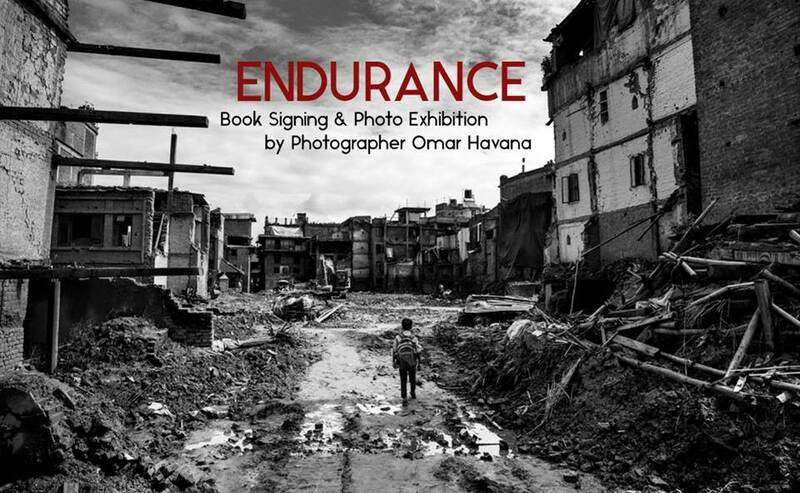 For more information about Endurance, you can visit Omar’s website at http://www.omarhavana.com/endurance. Chidlom BTS (Exit 2), walk into Maneeya Center past Yamaha, down a flight of stairs, go left & around to back set of elevators, up to floor P (Penthouse).